Peter Steinglass, MD, President Emeritus, and Co-Director of Ackerman’s Substance Abuse Disorders and the Family Project. A graduate of Harvard Medical School, Dr. Steinglass came to Ackerman in 1990 as the Institute’s third Executive Director, and later as its President and CEO. He assumed the position of President Emeritus in August 2005. In addition to his Ackerman posts, he is also Clinical Professor of Psychiatry at the Weill Medical College of Cornell University. 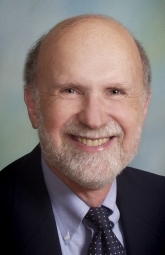 Dr. Steinglass has received many honors for his work in academic psychiatry as well as for his clinical and research collaborations with medical and mental health institutions, including the American Association for Marriage and Family Therapy’s Cumulative Contribution to Family Therapy Research Award, and the Distinguished Contribution to Family Therapy Research Award from the American Family Therapy Academy. He is also a Distinguished Life Fellow of the American Psychiatric Association and a Fellow of the American Academy for Addiction Psychiatry. Most recently, Dr. Steinglass was the recipient of the 2009 Mona Mansell Award from NYC’s Freedom Institute, signifying his contributions to the substance abuse treatment field. His research on alcoholism and on chronic medical illness as they affect family life has provided vital information for the clinical community. Dr. Steinglass has written more than 90 articles, book chapters and books on these subjects.